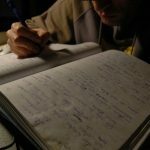 Very useful techniques for effective writing. These 6 awesome tips for effective writing will help you become a better writer. See some great examples of what to do to ensure your writing captivates and engages your reading audience.